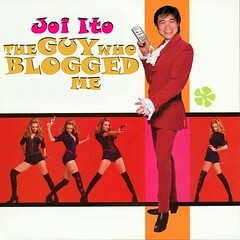 Internet famous man about town Joi Ito just blogged that he will be speaking at USC tomorrow. The question of course, is how much of the talk will be about World of Warcraft and how can he break away from it for a whole 2 hour talk? I had a prior engagement & couldn’t make it. Next PostNext I’m only 30, I swear.